Elysian Park, near Dodger Stadium in LA, isn’t just home to dry grass. There’s also, if you’re willing to equip a map (or...go for a walk) a classic arcade surprise lurking in the trees, courtesy of a local artist. 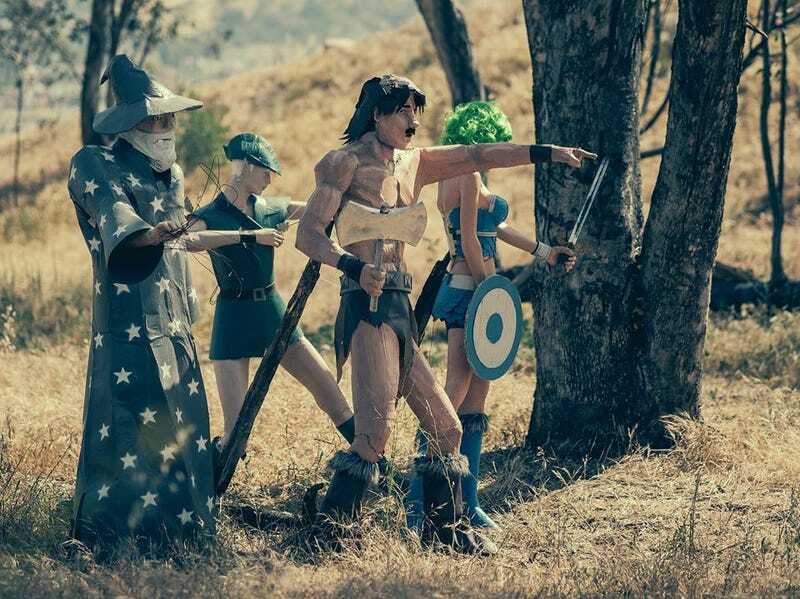 Calder Greenwood has snuck out and placed four life-size mannequins (made of paper mache, no less) based on the cast of Gauntlet in the park, and they’re still there, just hangin’ out, lamenting the fact that it’s been too long since there was a good Gauntlet game. Reader Tom Stratton snapped these shots last week after taking his dog for a walk in the park and stumbling upon the installation. If you’re in the area and want to check them out before they’re gone, there’s a map here.